It's easy as to get to and from EntX. 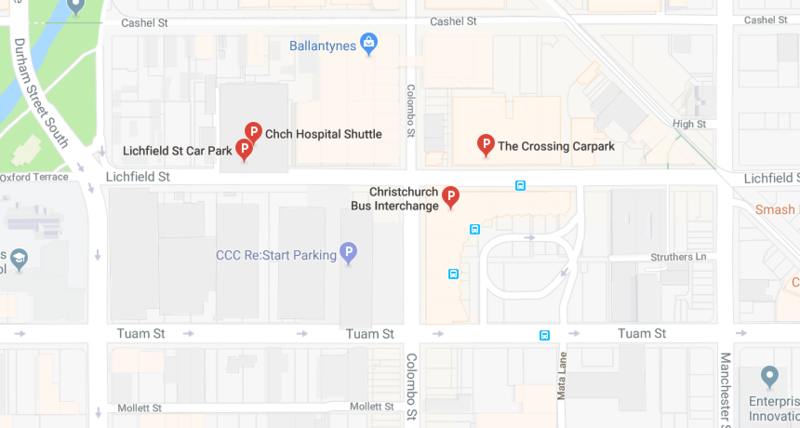 Located right in the centre of town on the corner of Lichfield and Colombo Streets the bus interchange is directly opposite. And there are lots of convenient car parks nearby. The Crossing and Lichfield Street car park buildings are metres away with more options in the neighbouring blocks.